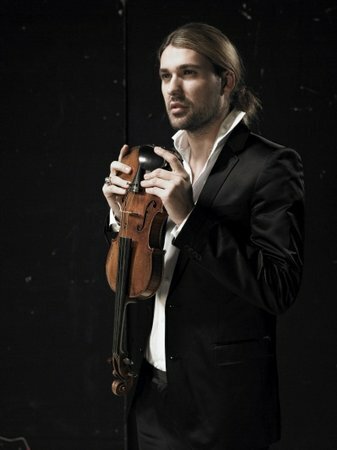 Superstar violinist David Garrett invited us to to follow him behind the scenes last week. We’ll be updating candid video entries from David every day this week, finding out what it’s like living 11 months of the year in hotel rooms, travelling with a Strad and why he has trouble sleeping. Watch the videos in the Music section of classicfm.com. Virtuoso violinist David Garrett closely guards his new violin at the Classical BRIT Awards 2008. German violinist David Garrett performs during the Red Ribbon Cotillion as part of the Life Ball 2010 at Burgtheater on July 17, 2010 in Vienna, Austria. (Photo by Alexander Hassenstein/Getty Images). Watch our videos of David in the Music section of classicfm.com.